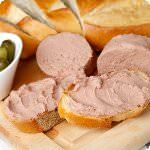 Duck, pork, mushrooms, specially blended spices and a dash of fine cognac go into this pate; a winner of a Good Food award in San Francisco. 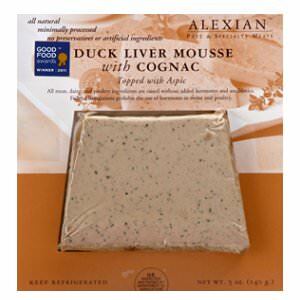 This award-winning Duck Liver Mousse with Cognac is topped with aspic and made with duck liver and pork with fine cognac; it is Alexian exclusive is fresh, natural and sinfully delicious. 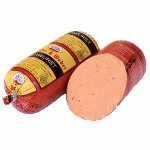 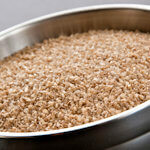 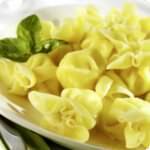 Ingredients: Pork fat, duck liver, eggs, milk, onions, cognac, salt, spices, garlic, dried mushrooms.